All of these sweet little bags start out with the same pattern pieces and end up all a little different!! A simple and easy way to keep your coins in one place, send a little invitation, or keep all your lipstick within reach! So simple you can probably have these THREE bags made in about half an hour!! Perfect if you need a last minute gift too!! 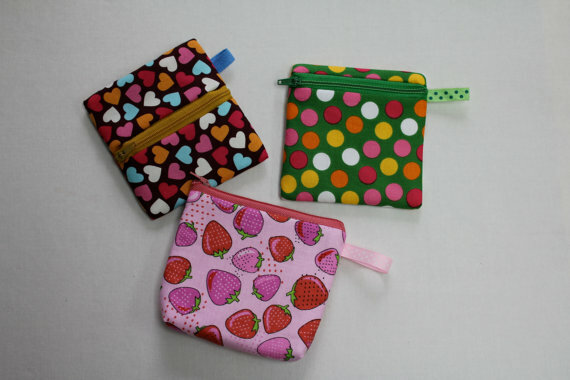 FINISHED SIZE: Envelope bag and Coin Bag : 4" X 4"
Mini Make up bag : 4" X 4 1/2"